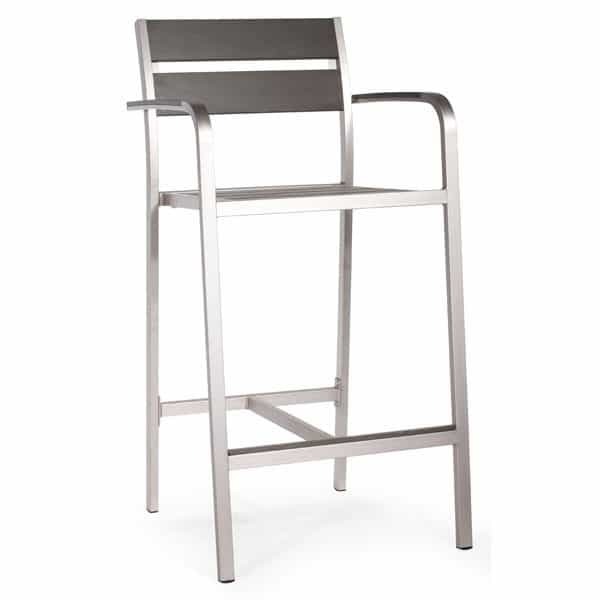 The Megapolis Bar Height Chair by Zuo Modern offers a patio furniture alternative for the fashion-savvy shopper. Sleek and sophisticated, the Megapolis Bar Height Dining Collection is suitable for any setting. 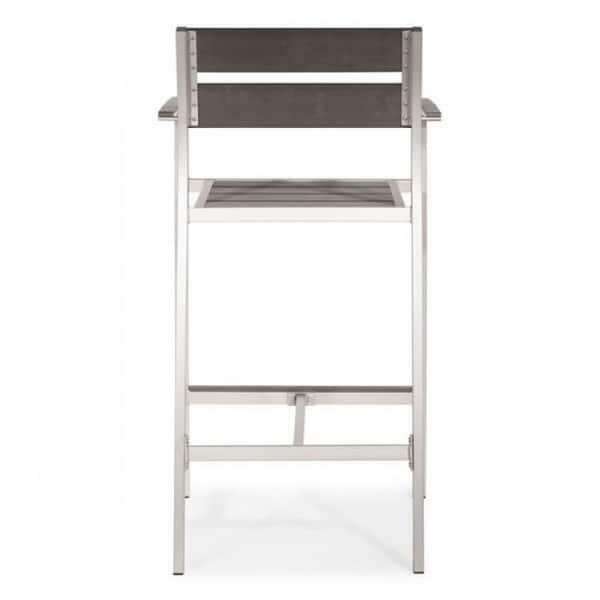 Constructed of brushed aluminum and gray polyethylene lumber, it is water and fade resistant. It is also rust-proof and requires no special maintenance. Imagine enjoying your morning espresso in the sleek Megapolis Bar Height Bar Stool by Zuo Modern on your deck or terrace!